She’s a track and field star, has earned medals in dance and played music for the Supreme Court of Justice. This sweet-loving, joyful 14-year-old adores her family and studies hard in school in Machala, Ecuador. 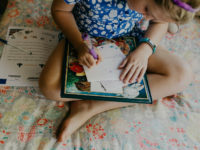 What you wouldn’t know from this list of accomplishments and bubbly personality traits is that this unique teenager has Down syndrome. Her mental capacity is that of a four-year-old child. This is Naomi. Thankfully, Naomi also has a determined mother who knows her worth and potential. A mother who, after being abandoned by her husband, has worked tirelessly as a single parent looking for every opportunity she could to help Naomi discover her talents and improve their living conditions. She’s moved multiple times just to maintain affordable housing for herself, Naomi and Jean Pierre, Naomi’s brother. This is Blanca. Because Naomi’s needs required full-time care, Blanca quit her job as a domestic employee and now works at home making crochet purses. 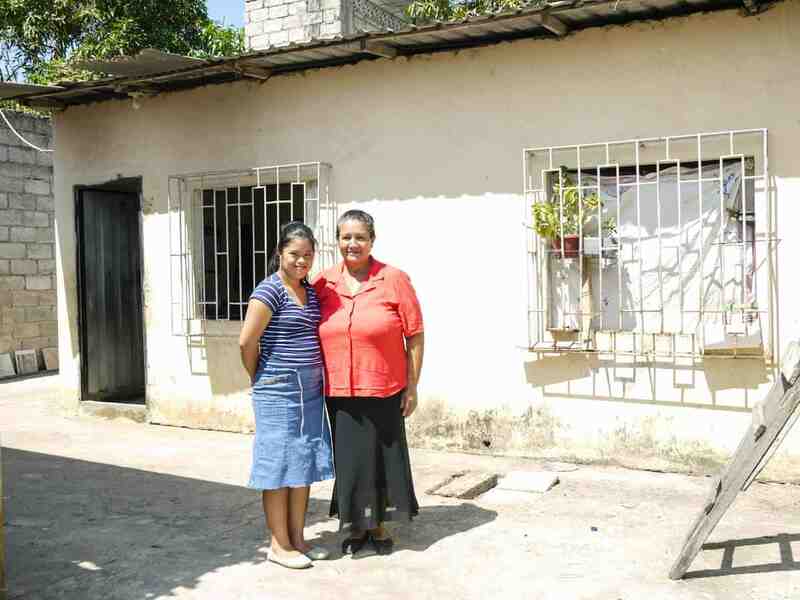 By selling two or three a month, she can pay the $75 for their rent and electricity. Their simple home is made of cement with an iron roof and glassless windows. The cognitive disability common to children with Down syndrome doesn’t allow Naomi to compete academically with teens her age. But ever since she was little, Naomi has been very physically active. “She’s very alert and has a lot of energy. She’s been a good runner ever since she was two years old,” Blanca says. That’s why Blanca took her to the El Oro Sports Center to help develop her motor skills. Naomi has won several medals for dance and folklore contests as well as in track and field. Last year, Naomi took fifth place in a national tournament. “She was the 2011 promising champion and won a medal. 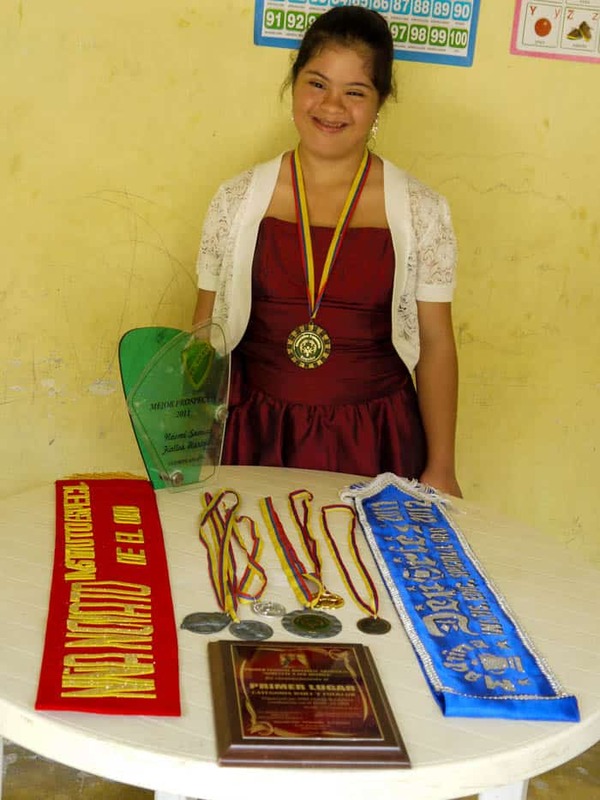 At the Special Olympics, she won two medals: silver in athletics and bronze in long unassisted jump,” proud Blanca says. In addition to her excellence in sports, Naomi also loves music. When Blanca recognized this this, she got busy again. “I spent a year going to the Conservatory, trying to get them to help my little girl, but the children there are older and know how to read and write… it was rather difficult, but the Lord opened doors and the Director said, ‘Ok, Naomi. No problem. You’re accepted,’ and he helped me,” Blanca says. Even though Naomi didn’t know how to read or write that didn’t deter them. After trying the violin and the flute, Naomi finally decided on the piano. Naomi’s piano teacher, Eulogio Marquez, even developed a new methodology for teaching her. Naomi’s passion shows as she practices every day and expresses herself through music. She’s even played in several musical presentations for national authorities. “She was invited to an event at the Supreme Court of Justice and also to one held by the El Oro Provincial Council,” Blanca says. 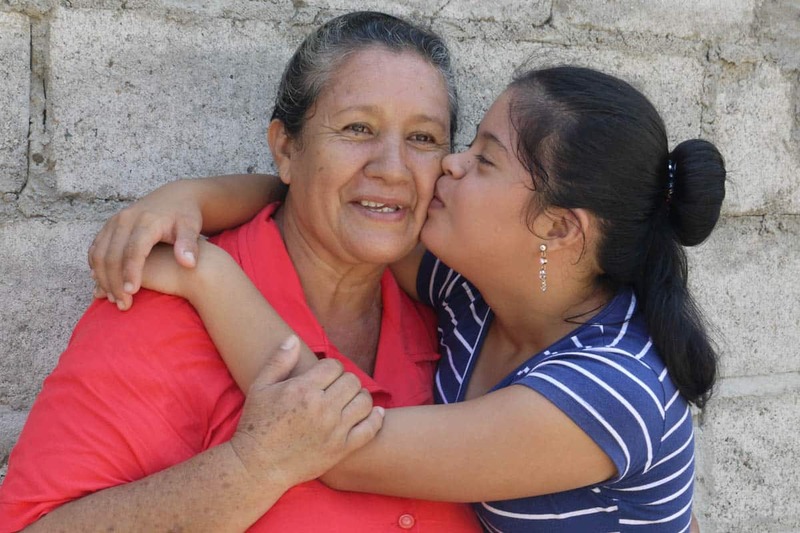 At 59 years old, Blanca’s journey hasn’t been easy but she hasn’t had to do it alone. When Naomi was 7 years old, Blanca enrolled her in our Child Sponsorship Development Program run by a local church in her neighborhood. Through the sponsorship program, Naomi receives tutoring to help her in special needs school, medical checkups, school uniforms and supplies. And when she developed type 1 diabetes, she received medicine and food for her diet. 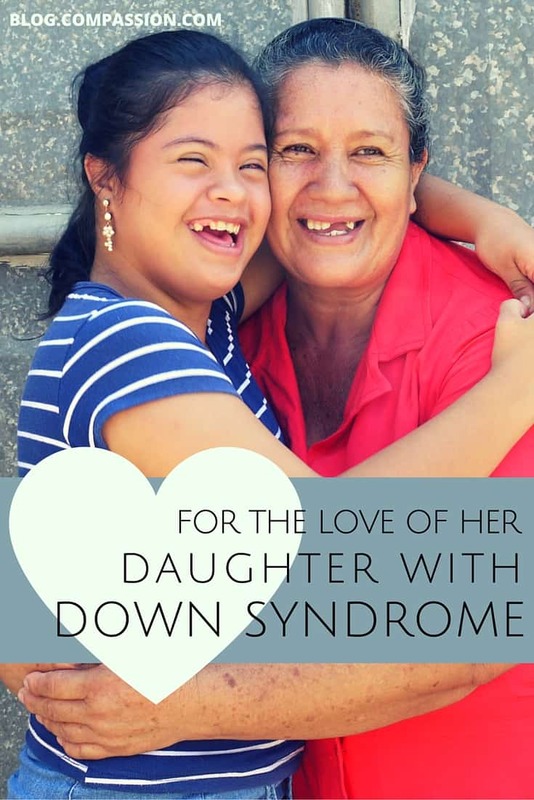 The Child Development Center staff are not only helping meet Naomi’s physical and intellectual needs but are helping her develop spiritually and emotionally by giving her the love she needs to feel accepted. 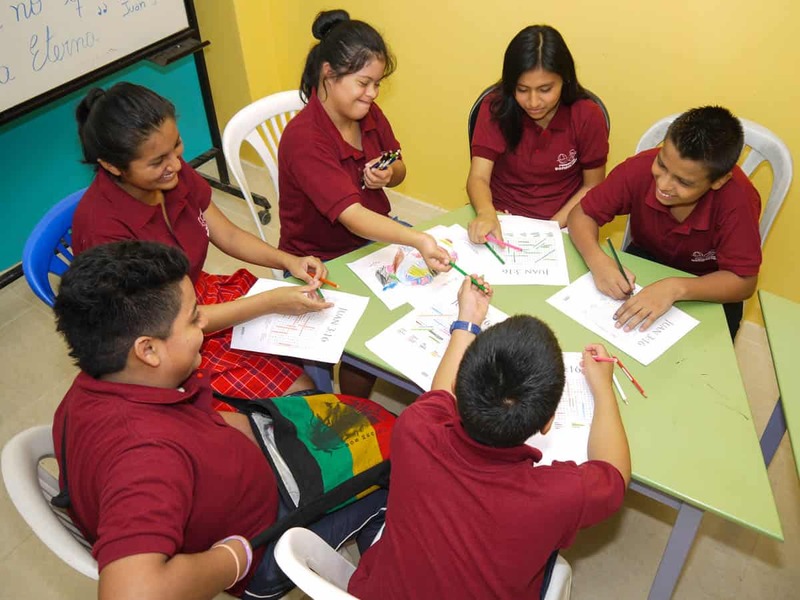 With the help of her tutor, Magdalena, Naomi has integrated well with the center’s family and developed her self-confidence. Naomi’s sponsors have also invested in her development, both emotionally through letters and financially through gifts for special occasions. Naomi loves when Magdalena reads the letters when they arrive because she understands that she has a friend who lives far away. Naomi will always have cognitive limitations, but she will also always have the help of her church, the center’s staff and her sponsors. And so will Blanca. The church and staff have come alongside her offering support and encouragement, congratulating her each step of the way during her daughter’s journey. 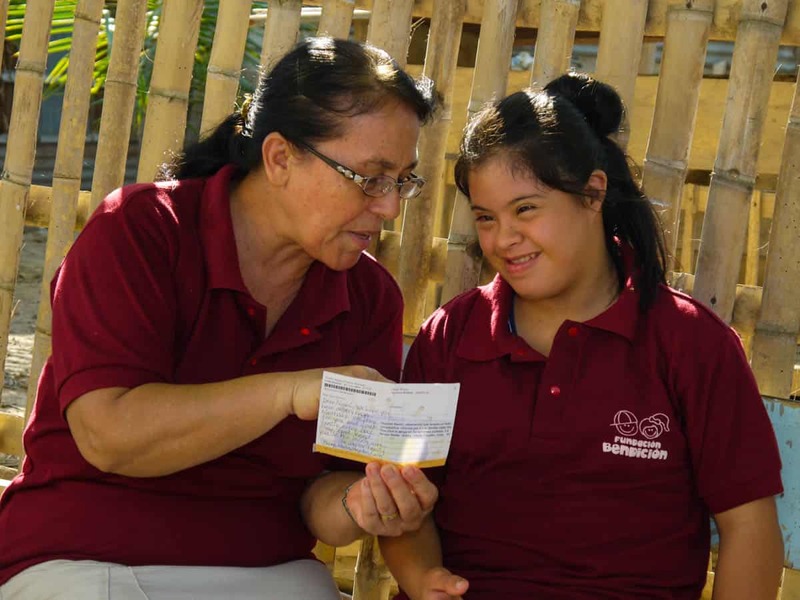 Blanca is one of the many parents and caregivers of the 6,145 youth with special needs enrolled in our program. These are students who have a wide range of special physical or developmental needs like albinism, epilepsy, polio, hearing or sight impairments, Down syndrome or hydrocephalus…just to name a few. And not all of them have found a loving sponsor to come alongside their caregiver and their local church to help empower them in their development like Naomi has. 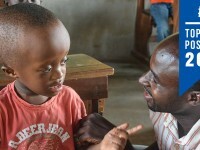 Will you partner with us and sponsor a student with special needs today? Prev Post:How Do We Decide Which Churches to Partner With?Next Post:Is This 12 Year Old the Next Big Mexican Artist? i am touched. this clearly shows that there is hope for every situation especially with the help of others. Naomi’s story is inspiring! Naomi’s story is a spark of hope and encouragement as Ecuador goes through dark times due to tragedies caused by the recent earthquakes. What really endows us with human dignity is God’s concern for mankind and this does not come from mere human achievements or our false sense of sovereignty. In the image of God alone, we become truly conscious of who we are and what we are meant for and it seems that Naomi already bears that image. Very well said! I am reminded of Jeremiah 29:11, “For I know the plans I have for you,” declares the Lord, “plans to prosper you and not to harm you, plans to give you hope and a future”. This touched my heart. Thank you so much for sharing Naomi’s story.